Characterisations in international relations provide a false neatness to an untidy world. The term 'freedom fighter' can morph with effortless ease into rudderless 'militants' whose only purpose is to inflict terror. 'Dictatorships' become police authorities keeping an eye on 'fundamentalism'. 'Fundamentalists' in turn can be shape-changers. The use of such terms is strategic and tactical, and not merely a matter of semantics. The violence in Algeria at the siege of the natural gas facility at In Aménas was deadly, resulting in the deaths of 37 individuals. Immediately, the demon word of post-9-11 was employed — al-Qaeda. The hand of this complex and international franchise was in it, exercised through the local group Al-Qaeda in the Islamic Maghreb . The Wall Street Journal on 21 January noted sources claiming the siege was affected by weapons 'pilfered from Libyan stockpiles'. Broad brushstroke terminology is employed: the hostage taking signalled 'an escalated threat of African terrorism against international targets that the US and other governments are struggling to neutralise'. The imprecision of the language is unmistakable: 'African terrorism' threatens 'US' and non-African interests. Africa, as it has been in the history of colonial interests, is a projection; a dark, foreboding continent of interest to foreign powers, whose own interests come first. Strikingly, the instability that has resulted in Algeria and Mali can, to some extent, be attributed to the end of the Gaddafi regime, occasioned by Western intervention. Pundits of international relations now find that singling out Gaddafi as the next cartoon gangster for removal was good propaganda but bad policy. No-fly zones initiated to protect civilians ended up assisting anti-Gaddafi forces who have proven unruly and poor in governance. At the behest of an Anglo-French-US operation, ill-understood fighters and factions have created a security vacuum that threatens considerable parts of the African continent. 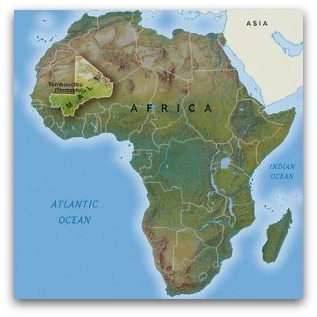 It would be a mistake though to see the disturbances in Algeria and Mali as having a purely international dimension. Local specifics are ignored. As Patrick Cockburn, a long time student of Middle East and African affairs has pointed out, an organisation like al-Qaeda thrives on the false assumption that local disputes have international import. Provocations such as those in Algeria are 'presented as a threat to the rest of the world'. The same goes for the disputes in Mali. As Cockburn asserts, 'Local disputes — in this case between the Tuareg of northern Mali and the government in the capital, Bamako — become internationalised.' While police actions to restore order might be initially welcomed, the presence of a great power can prove destructive in the long run. This is the danger France finds itself in with its response to Mali's instability, executed with UN Security Council blessing. The intervention again threatens to entrench European and US interests in the region to fight a complex array of militants. This is not to suggest that those in Ansar al-Dine, the Movement for Unity and Jihad in West Africa (MUJAO) and AQIM in West Africa have noble aims — indeed, there is much to suggest these groups are despised by the local populace. But it is also dangerous to view external interventions as surgical and altruistic. A group such as AQIM can hardly be designated a threat to France let alone Europe, having limited its activities to the drug trade and lucrative hostage taking. The French fear Islamic militancy and theocracy, but have ignored the fact that the Tuareg revolt, led by the National Movement for the Liberation of Azawad, is nationalist in nature. Furthermore, AQIM, with its origins in the vicious Algerian civil conflict of the 1990s, was tolerated in northern Mali to keep Tuareg in check. It has been conveniently ignored for the most part that the Mali government for many years shared in the ill-gotten gains of AQIM's drug and hostage operations. Now, the goal posts are being changed again, with the return of Tuareg soldiers previously in the employ of Gaddafi's forces. This overview merely skims the surface. As Al Jazeera journalist May Ying Welsh has shown , the region contains a highly diverse range of interests and conflicts. Ansar al-Dine consists of Tuaregs and has a religious bent, but is careful to avoid engaging other Tuareg groups for tribal reasons. They deny links with al-Qaeda. As Welsh's piece shows, simplify at your own peril. The response from Washington is troubling. It has threatened to expand its counter-terrorist blueprint used in the Middle East to parts of Africa. The use of drones against militants has not been ruled out. Nor can it be ruled out that the Mali intervention triggered the seizure of hostages at In Aménas. Every good turn deserves another. Behind the labels of undifferentiated militancy lie dangerous consequences. The mistake on this occasion has been to equate local troubles with international significance. Both the branches of the al-Qaeda franchise, and Western powers, are playing on this theme. And both, in doing so, have created enormous suffering. I would say that your comment "equate local troubles with international significance" could be said about most of the conflicts that the West has become involved in since WW2, starting from Korea and going through Cuba, Vietnam, Nicaragua, Grenada and El Salvador right through to Libya and now Mali. The West can't seem to keep its hands off others' issues, using its desire to "defend democracy" as an excuse to protect its own interests. No wonder its on the nose in so many parts of the world. It would appear that the dreadful swift sword of the French Army has soundly defeated the Tuareg/Islamicist alliance leaving the Malians and combined African force (when it finally arrives) to mop up. There are really two scenarios in play. One is the fact that the Tuareq, once masters of the Sahara, who controlled the trade routes, are no longer masters in their own area. Their former slaves and underlings are now well and truly in charge. They have no hope whatever of having their own country and their organisation, the Islamic Movement of Awazad, needs urgently to make the best peace it can. The other, vastly more disturbing scenario, is the move by militant Islamicists, whether armed jihadists, such as AQIM, or movements such as the Muslim Brotherhood in Egypt and its Salafist cohabitors, to subvert the new situation arising from the Arab Spring to their own ends. I suggest anyone interested in this reads John R Bradley's book "After the Arab Spring: How Islamicists hijacked the Middle East Revolts". Mali and the Tuareq are mere sideshows to this. The Labor Party's ethical problems are deep seated. Once it adopted pragmatism as its first principle, policy debates lost meaning. The ideological vacuum was filled by enslavement to poll driven politics and media images. The Left struggled to retain its influence and Labor's heart vanished. We should expect much more from our politicians.